Working out my ‘Harvest time’ at class. I found it really difficult to choose a good composition with vegetables! 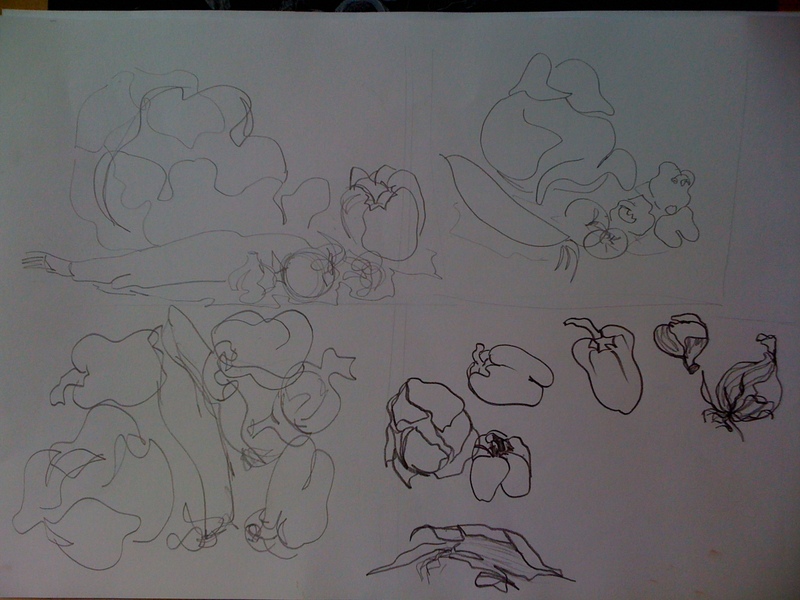 It seems easier with loaves and wine bottles to make a pleasing shape/outline for a drawing. 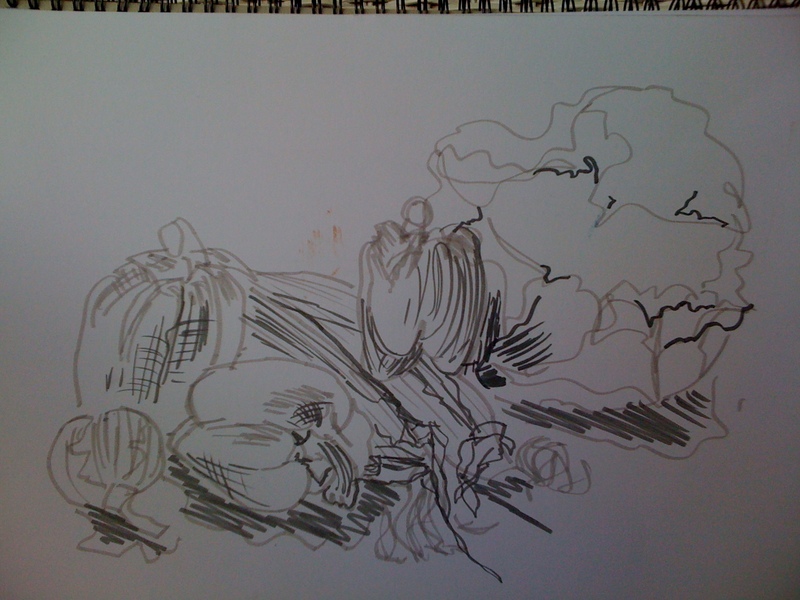 I choose Faber-Castell Pitt artist pens to do a tonal felt-tip study and then used pen and ink for a more gutsy (messy), contour drawing. 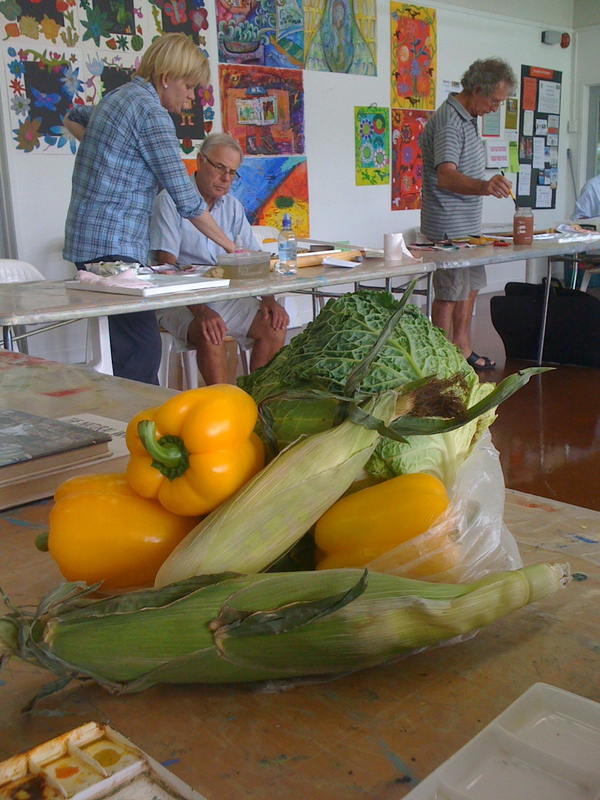 The next day I took my vegetables to my painting class…. 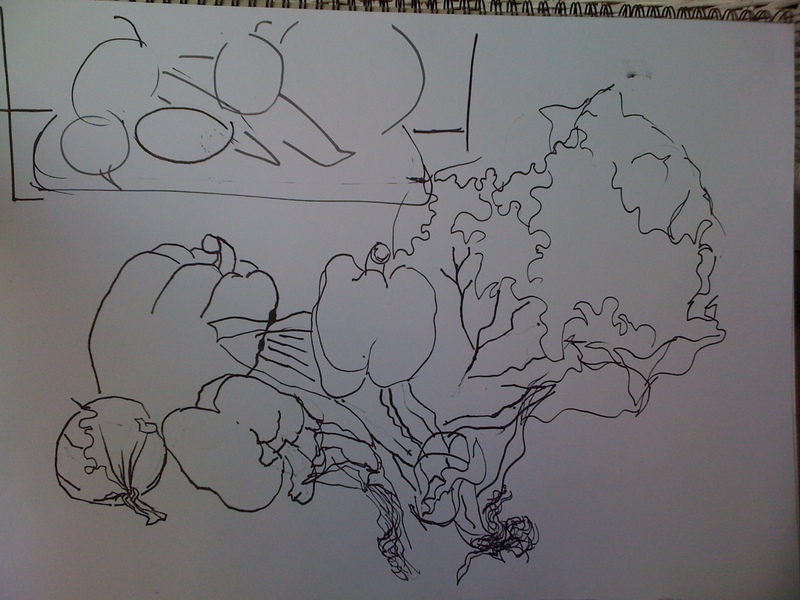 and back again having drawn a few shape ideas…. Thinking about how to arrange my veggies!